Customer expectations matured in 2017; no longer was social customer service just about response times and a friendly tone of voice. 2017 saw “effortless service” set the tone for what consumers deemed as acceptable, expecting convenience, in-channel resolution and agent expertise. Brands looked to adapt—some successfully others not so successfully—to make “effortless service” part of their social care architecture. So, what’s changed in 2018? Offering effortless social care is still as relevant today as it was in 2017. But customer expectations are maturing more rapidly, brought on by their own unquenchable demands for ease and the platforms that facilitate this ease. Today’s consumers, the “always-on” generation, are more mobile and digitally driven than ever before. Delivering effortless customer service remains critical to delivering seamless customer experiences. Yet, over the course of 2017, the customer-service landscape evolved significantly, truly undergoing its own digital transformation. The maturation of social care has given rise to the natural evolution of the term “digital customer service,” which is where we find ourselves in 2018. Imagine this: You’re on a work trip. Your flight was delayed, you’re tired and you are walking through the airport, about to book an Uber to your hotel. You open the confirmation email to get the hotel address and see that there’s been an error—you’re booked to stay tomorrow, not today—nightmare. You’re going to have to phone them, wait on hold, repeat to the agent all of your booking details from the email while you’re on the phone—all while trying to walk, flustered and tired, through the airport. It would be different if you were a Hyatt Gold customer. On all of its contact pages—website, email, mobile application—there’s a direct link to start a chat with its agents over Messenger. You can just send Hyatt a simple message saying that you’ve been booked to stay tomorrow instead of tonight—the company doesn’t need to ask you for any other details, and it will get back to you in minutes. That’s an incredible experience, and completely effortless. And it’s possible because Hyatt has leaned into the power of Messenger. Boasting 1.3 billion monthly users and growing, Messenger is at the forefront of digital customer care. The platform offers customers a continuous thread of conversations with real-time, personal interactions that span every point in the customer journey. As many social customers now prefer private conversations, the format has changed from mass venting sessions on social to meaningful one-to-one engagements that drive customer satisfaction and brand loyalty. What’s more, the Messenger team continues to innovate in the digital care space. 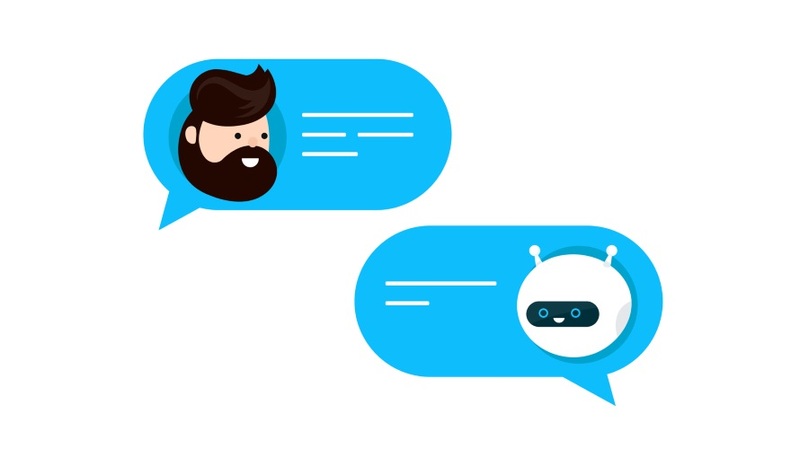 In November 2017, Messenger announced the launch of Messenger Customer Chat, allowing brands to initiate customer conversations on brand properties and creating a single, seamless and continuous conversation over Messenger, enabling brands to handle broader customer inquiries while maintaining best-in-class customer service. Gartner predicted that by 2019, requests for customer support through consumer messaging apps will exceed requests for customer support through public social media. Messenger Customer Chat directly reflects this trend, offering an invaluable resource for brands catering to the next generation of consumers. Messenger Customer Chat is particularly valuable for customer-service teams, enabling them to provide consumers for the first time with a single, seamless experience across devices. Unlike traditional web chat, which lives only on a business’s website, consumers can now chat with a business on its website and in Messenger (across web, mobile or tablet) and transition back and forth seamlessly without losing the conversation’s history and context. So, why is Messenger the real value of Facebook? Real-time: Brands can even see when the other person is typing. Asynchronous: Customers can go away and continue the conversation later. Persistent identity: Brands can easily link the inquiry to a customer record. Connected: Connected to smartphone notifications. Higher response rates: Brands can see three times the response rate of traditional channels. Actionable business insight: CSAT gives a clear customer feedback loop on potential service improvements. There are certain interactions that customers can find painful. Messenger-based customer care removes the effort from your customer relationships, decreases frustration and allows your brand to shine. Messenger will continue to impact the digital care landscape throughout 2018, proving its true value to Facebook. Joshua March is CEO of social customer engagement platform Conversocial.